4pm drawing of the Super Quilt Raffle 2017. QuiltNSW invites you to join our quilt community. 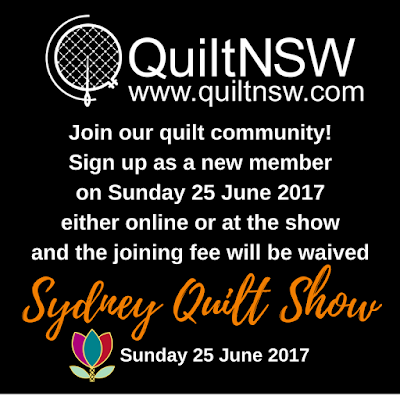 Sign up as a new member on Sunday 25 June either online or at the Sydney Quilt Show and the joining fee will be waived. Sydney Quilt Show 2017 Opens Today!